There are two more paintings in my Market Series for now. 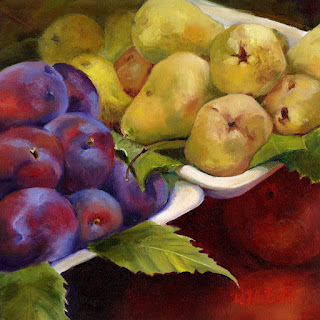 Plums and Pears is done but Apples and Oranges is not painted yet. I have ideas for more but we will see.